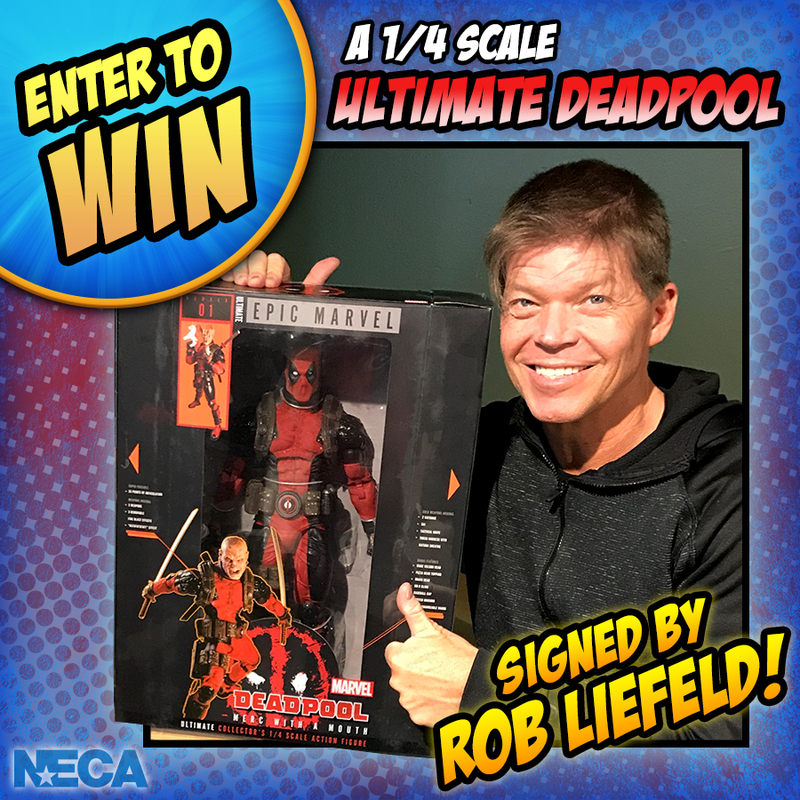 Enter to Win a 1/4 Scale Ultimate Deadpool Figure Signed by Rob Liefeld! You are here: NECAOnline.com » Blog » Contests » Enter to Win a 1/4 Scale Ultimate Deadpool Figure Signed by Rob Liefeld! Who loves Deadpool? You do! So tag a fellow fan of the Merc with a Mouth and you could win the new 1/4 Scale Ultimate Deadpool Action Figure …SIGNED BY DEADPOOL CREATOR ROB LIEFELD! 1. You can enter using your Facebook, Twitter or Instagram account. You can only enter once. If you enter more than once, or on more than one platform, all of your entries will be disqualified. 2. In the comments on our official Facebook, Twitter or Instagram page, tag one person who loves Deadpool as much as you do! YOU MUST INCLUDE THE HASHTAG #NECADEADPOOLGIVEAWAY. • Open to legal residents of the U.S. and D.C.